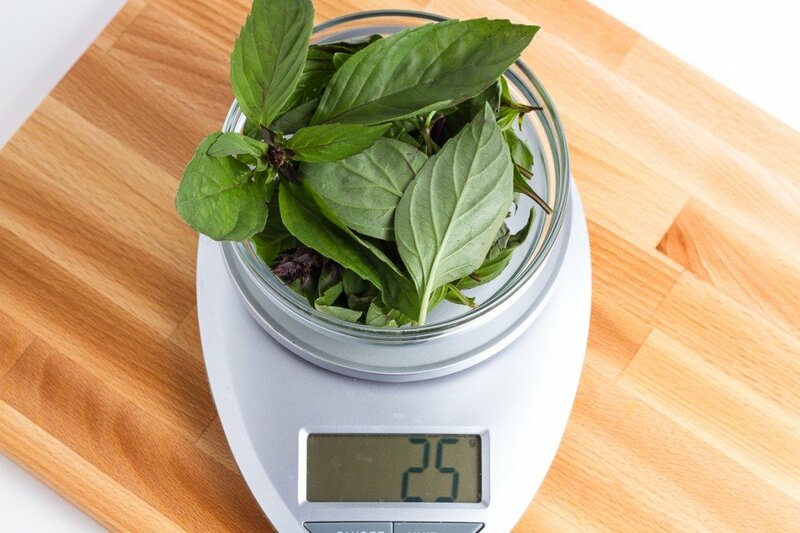 Thai basil adds a great base flavor for Asian dishes on the trail, but won't last long without refrigeration. Dehydrated Thai basil can be crumbled up and used in meals like the fresh variety. It's easier to dehydrate the entire basil stem, then pull off all the leaves when it's dry. The main stem is completely inedible and will be the last thing to dry, if the stem is the dry, everything else is dry. Completely dry basil is crispy and will crumble very easily, so don't cut it up, and avoid drying small pieces as they'll fall through the dehydrator.